Our Undergraduates are a viable component in our Membership. They are our moving sector that will take Gamma Phi Delta Sorority, Inc., into the future. Paris Smith, is the National Undergraduate Representative, who guides the Undergraduate chapters in carrying out directives of the National and Regional bodies. 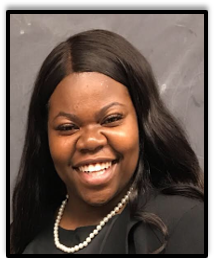 She plans activities of the Undergraduate Chapters with the National President, assists in organizing Undergraduate Chapters, and represents the Undergraduates at National and Regional Activities. Undergraduate members are women of good moral character and reputation, and who have been duly inducted by any undergraduate chapter according to the laws of the National Organization and who, at the time of induction is enrolled in an accredited school, college or university and have satisfactorily completed one semester, one trimester or two quarters of training. She shall be in good standing academically with the school. The applicant shall be enrolled in an accredited school, college or university and have satisfactorily completed one semester, one trimester or two quarters of training. She must have maintained a satisfactory grade point average (at least 2.0 GPA). Applicants for undergraduate membership must submit a completed application signed by two active graduate members (one of whom must be the Advisor): also an official transcript, showing good academic standing (at least 2.0 GPA), and a complete profile of her student activities. Applicants are not to be an active member of any other Greek social sorority; but they can join an academic fraternal organization.